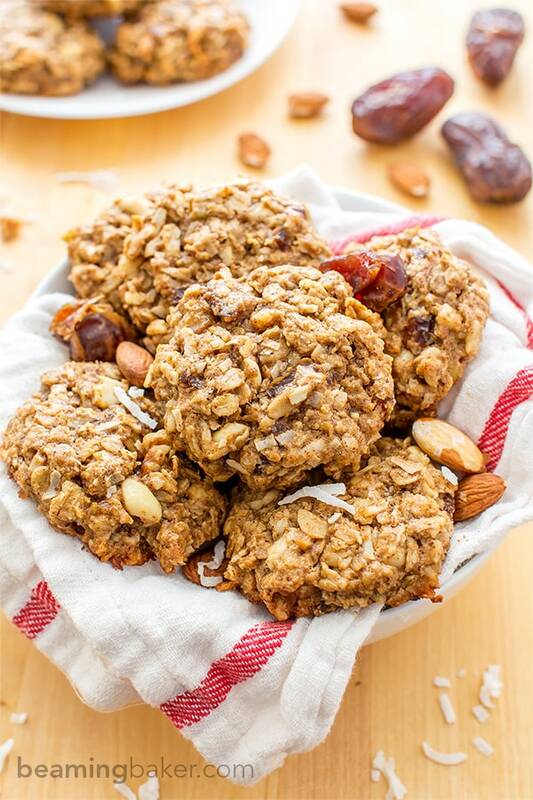 Good Morning Breakfast Cookies: an easy recipe for feel-good, energy-boosting cookies made with whole ingredients. Vegan and Gluten Free. Cookies just make every day better don’t they? ? Well, what would you say if I told you there was a cookie made especially for starting the day right? Alright, I really DO need to stop asking questions… don’t I? 😉 These awesome blossom Good Morning Breakfast Cookies do exactly what you think they do… based on the name. Ahem. Plate of Good Morning Breakfast Cookies = Good Morning. Oooooooh, yeah. But before I get into that, let me tell you all about the thrilling adventures of my super-duper (read: mildly boring, but pleasant) life. About a year ago, Erik and I moved to Maine. From California. Yup, there needed to be a period in between those two. As you can probably imagine, it was a big shock, culturally and all of the other –allys. I’ll shower you with all of that shocking goodness on another occasion. In any case, we moved across the country and decided it was just time to pretty much purge everything. We moved with just four large suitcases and two little ones (carry-on friendly). Imagine the shock of moving from California to Maine, coupled with the shock of having almost no material things. Dude. Right? But Erik and I are pretty prone to adventurous, bold moves. That probably sounds kind of conceited or something, but what I really mean is that we get The Itch. Anyone feel me? Sometimes, you just have to do something BIG to start fresh. Anyway, with said bold move having been completed, we then had to do the Bold Move Follow-up Procedure. Which is basically the What The Frack Did We Just Do? Procedure, and the even more impressive Oh, Crap Procedure. So imagine, the two of us sitting (on the floor, of course) of our new apartment, surrounded by those four (now not lookin’ so large) “large” suitcases and two teeny-tiny suitcases. Woah. Boldness was never so frightening. Cold cereal. With sink water. Yes, sink water. I hang my head in shame. Have pity on us, we didn’t even have plates!! Now if you weren’t already judging us for the sink water, you are surely now judging us for the bowl-less cold cereal. Meanwhile, those days are long-gone (we have not one, but four bowls now—jazz hands!). Nowadays, the kitchen is the most populated room in the apartment because… there just happen to be TWO food-obsessed occupants, and everything’s all good. But not too cramped. You see, we not only picked up more things for the apartment, we also gained a stunningly rich and highly-developed sense of maturity. Whatcha waitin’ for? 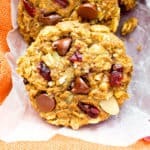 Make these Good Morning Breakfast Cookies and have said awesome day. 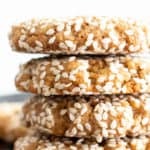 Good Morning Breakfast Cookies: an easy recipe for feel-good, energy-boosting cookies made with whole ingredients. In a large bowl, whisk together all of the dry ingredients: oats, flour, ½ cup coconut, cinnamon, baking powder, baking soda and salt. In a medium bowl, whisk together all of the wet ingredients: flax eggs, coconut oil, almond butter, maple syrup, coconut sugar and vanilla. Whisk until smooth. Pour the wet mixture over the dry mixture. Use a rubber spatula or wooden spoon to fold the ingredients together until you get a cohesive cookie dough. 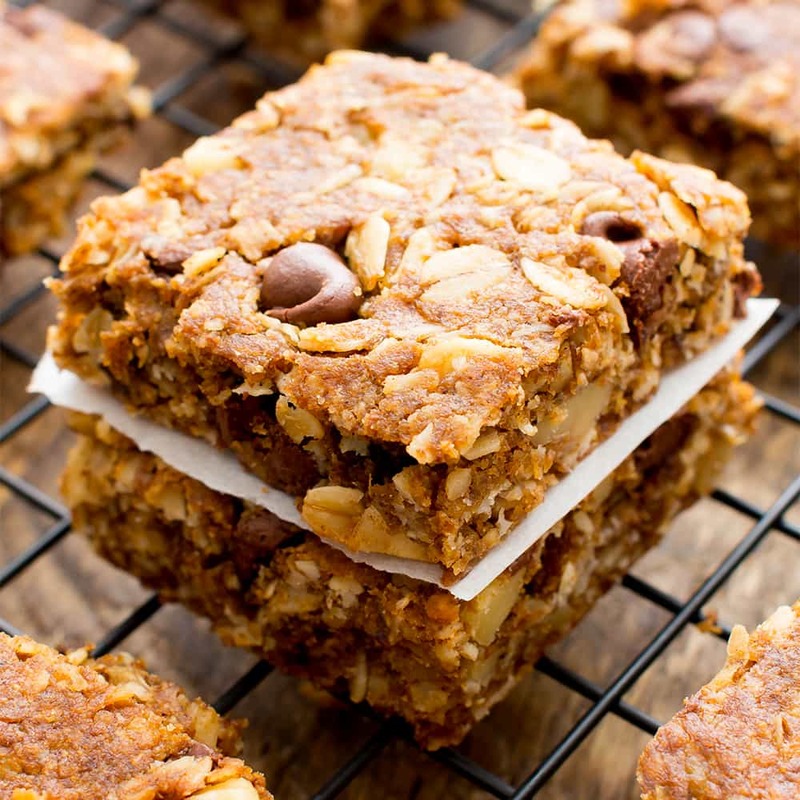 Fold in almonds, cashews, dates and remaining ¼ cup coconut. Scoop about 3 tablespoons of cookie dough into your hands. Shape into a ball and place evenly apart on the prepared cookie sheet. Flatten cookies with a fork to keep the texture. 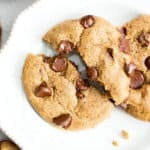 Using a spatula, carefully remove cookies from the baking sheet and place onto a cooling rack. Allow to cool, then enjoy! 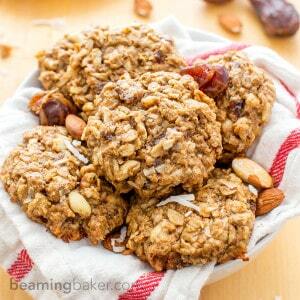 - *To make homemade oat flour: place rolled oats into a blender. Blend until you get a just slightly grainy flour. 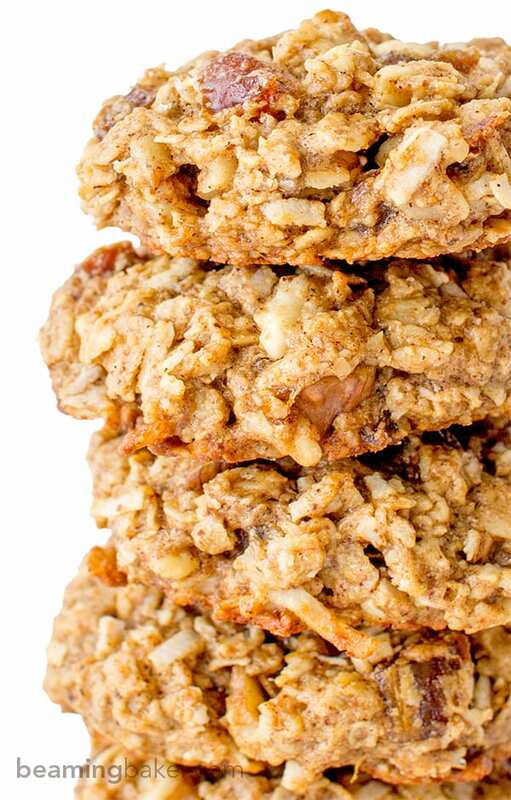 Remember: 1 cup of rolled oats does not equal 1 cup of oat flour. You’ll need to blend more rolled oats to create less flour- the oats decrease in volume as you turn it into a flour. It’s easiest to blend up a big batch of oat flour, and just scoop out what’s needed for any recipe. Instant chocolate bliss. 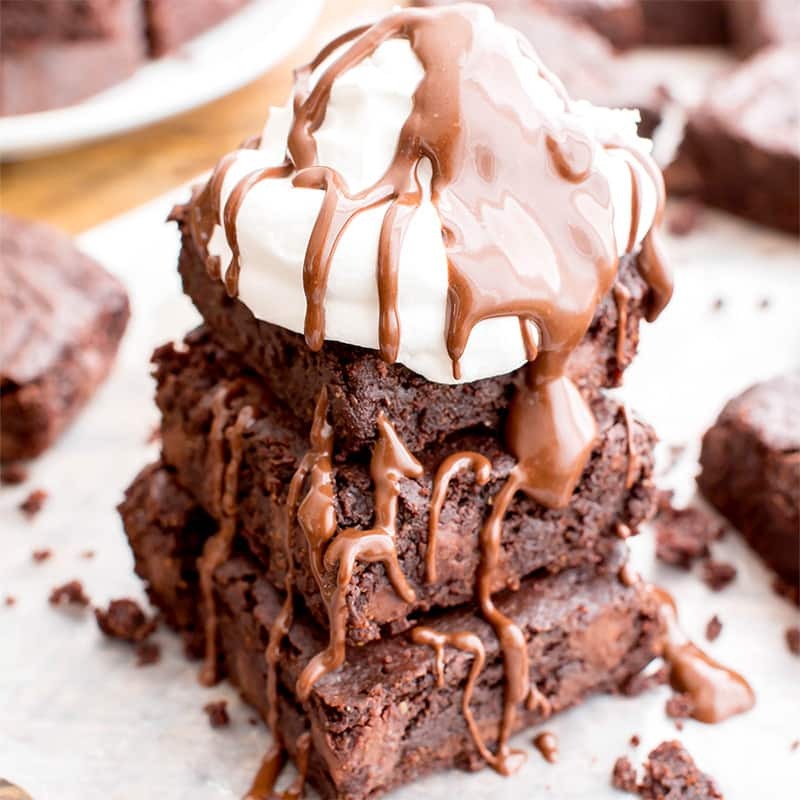 Try my Gluten Free Vegan Brownies (V, GF, Dairy Free). 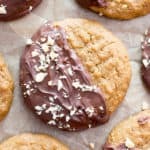 So you can have MORE cookies for breakfast. Because… these are bars! 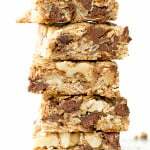 😉 Try my Peanut Butter Chocolate Chip Oatmeal Breakfast Bars (Vegan, Gluten Free, Dairy Free). 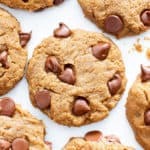 Another great reason to make cookies!!! Try my Gluten Free Trail Mix Cookies (Vegan, GF, Dairy Free). So. Good. Do you have any zany moving stories? What’s your perfect breakfast meal? 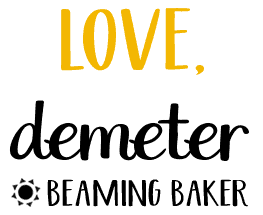 Demeter, your posts crack me up! You are one courageous woman! I too pulled a bold move about 15 years ago when I moved from Brazil to the US, I was only 19 and had $180 in my pocket hahaha… but somehow, it seems less bold than your move, perhaps because I was super young and worry-free (and I had my airline ticket back to Brazil). Love your stores and recipes. My family will undoubtedly love your Good Morning Cookies, and I can’t wait to make them! I made these and they were delicious but fell apart! They were moist but didn’t stay together after baked – I ate them all up because they tasted great, but any ideas of why they might have crumbled? I used large flake oats and white sugar (no coconut sugar left). I’m about to try another batch with quick oats to see if that makes any difference! 2) It might also be bake time or varying oven temperature. Were the cookies very soft or underbaked when you finished? If this is the case, adding on another few minutes would make the structure of the cookies more firm. 3) Finally, try adding in one more flax egg. That will act like a glue to keep the ingredients together. 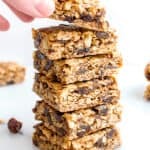 I suggest only making one of the above changes when you bake another batch (for example, just chopping the ingredients more finely OR adding in one more flax egg). Then, adjusting as needed. I hope this helps! I posted too early! My second batch just came out perfectly. I used quick oats instead of large flake, so I’m thinking that was the issue! They are still delicious 🙂 and on the topic of big moves, my husband and I moved from Toronto, Ontario to Whitehorse, Yukon (right beside Alaska) with four suitcases, too! I’d never been here before and was pregnant. It’s been an awesome adventure! We now have two kids and can’t imagine moving back to the big city. Life is amazing in the north! OMG ty ty ty for this recipe. 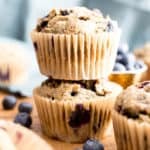 I just made these for my breakfast this week to give the oatmeal a break and they are so good I hope I have some left for breakfast in the morning ????. Donna, your comment totally just made my day! 🙂 Ty ty thank YOU for taking the time to tell me how you enjoyed my recipe! 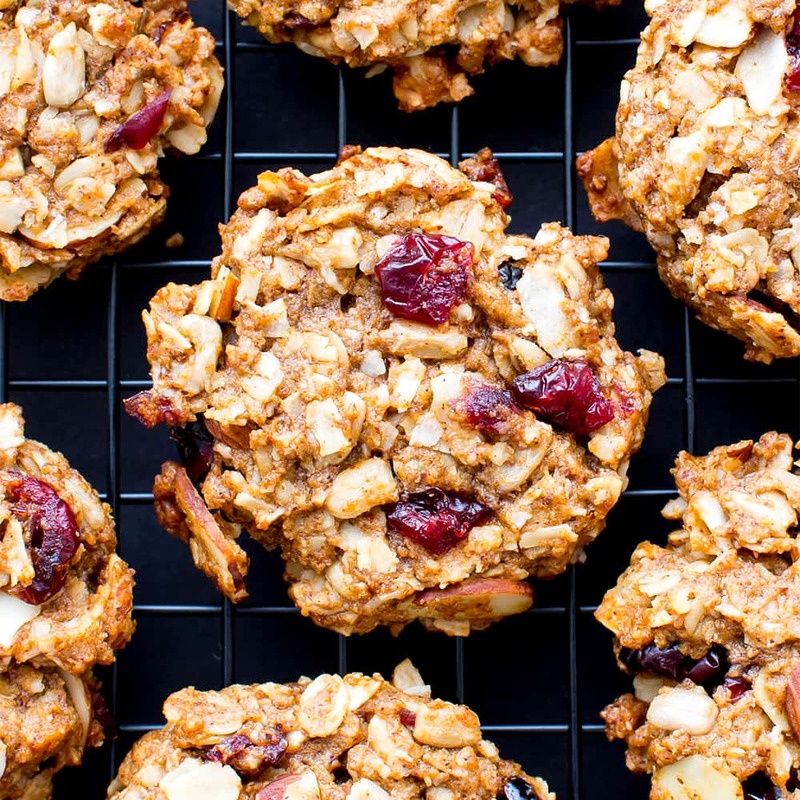 Cookies for breakfast are SO much better than a bowl of oatmeal, that’s for sure. 😉 Hope you have a great week full of these tasty cookies (if they make it that far ????). This recipe looks great! If I am using real eggs instead of the flax eggs, would I use one or two? Thanks! Hi Gabriella, thank you! You’d use two. 🙂 My pleasure! Can’t wait to hear how they turn out! Two minutes of prep time? What kind of time-bending vortex is Maine located in?? No one is going to speed-measure 16 ingredients in 2 minutes — and besides, one of them needs to set for 15 minutes! The cookies look great though. Oh goodness! Thanks for catching that, Nina. I’m actually blushing right now… lol.???? ???? Hope you get a chance to try with all the prep time you need. ???? Hi! I just found your site and your recipes look yummy. I’m not much of a baker so I’m not too experienced in subbing things out, so wanted to ask just in case you had any ideas. I don’t do oil at all – do you think I could sub applesauce? Or is there another ingredient you think would be a good sub for the coconut oil? Thanks so much! 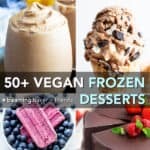 These look delish and I’m excited to give them a try! HOLD THE PHONE. THERE ARE DARK CHOCOLATE TRAIL MIX COOKIES?!?!?! omg I can’t wait to find the recipe and make them and eat them all in one sitting. Get. In. My. BELLY. These look so yummy! But what would you sub in place of the shredded coconut? I love the flavor of these – so delicious! However, my cookies did not hold together very well. Any tips? Good morning, Marnie! (From Boston, Massachusetts). 🙂 How could I not have a good morning after reading your delightful comment? 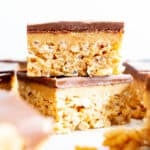 🙂 Your kids were so lucky to have a mom that put so much effort into making tasty, but secretly healthy treats for them. My mom is like that, too. I never forget how much care and thought she put into raising us kids. <3 I can't wait to hear what you think of my recipes. Please let me know if you ever need help finding one! Big hugs, Demeter. I’m currently watching these bake in the oven. I made a few adjustments, I used a GF flour blend in place of oat flour, I cut the oil down to 3 tbs, used an organic peanut butter, an I used brown sugar instead of coconut sugar! I felt my dough was way too dry so I added about 2tbs of soy milk. My girlfriend ate all our dates, so I nixed those but added golden raisins and walnuts! The dough tasted amazing! Can’t wait to see how they bake off. Congrats on the move! My girlfriend and I moved using only our chevy spark as a u-haul across country and BOY, what a change it was. May I ask what you did with all your belongings? Has anyone tried these without coconut sugar? It just made it too sweet for me, do I even need a substitute since there is maple syrup in them already? Could I use honey if so? What a wonderful story, Sarah. 🙂 It was really great being able to hear how you and your kids enjoyed making my recipe. ???? Btw, a cookie making party sounds like the BEST prize ever! Love that they were each able to customize their cookies to their liking. Thank YOU for taking the time to share your kitchen family adventures. 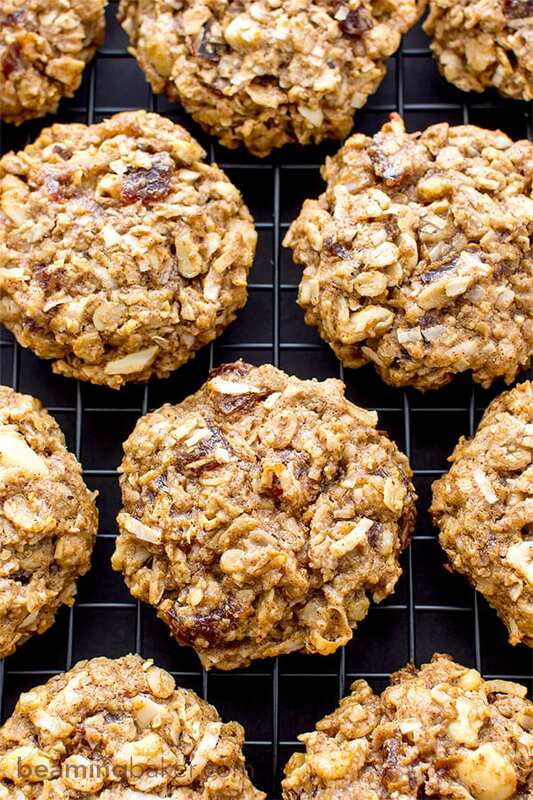 Here’s to more GF, DF, and egg-free recipes that taste even better than “normal cookies”! 😉 ??? ?